A portable tens unit is manufactured with a focus on quality, ease of use and superior performance demanded by health care professionals for a wide variety and consistent applications for targeted pain relief. 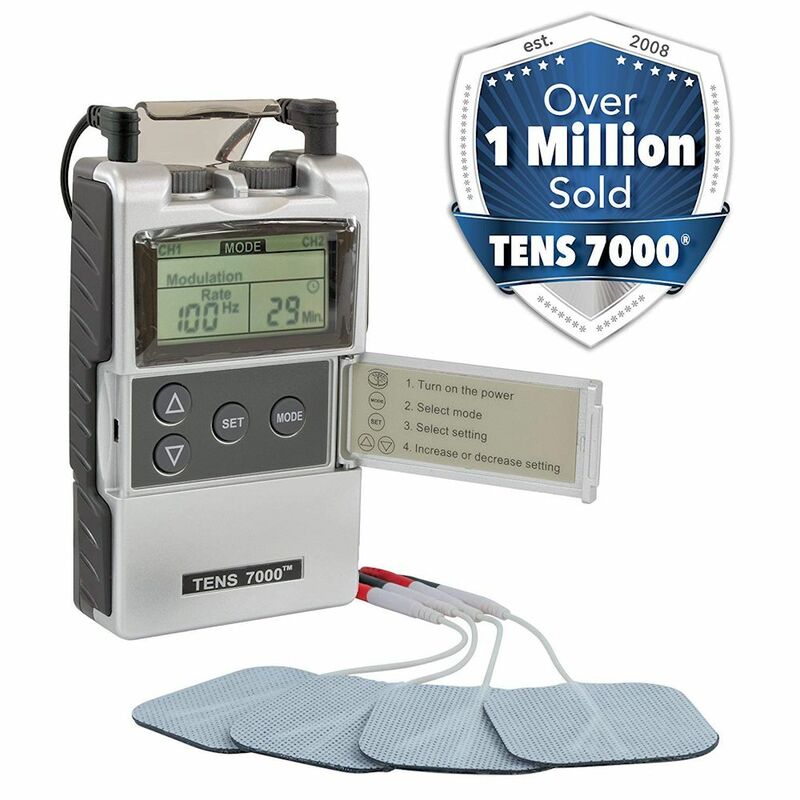 Comes complete with the TENS unit, 2 pair of lead wires, four pack of reusable electrodes, 9-volt battery, quick start guide, instruction manual, and hard carry case. 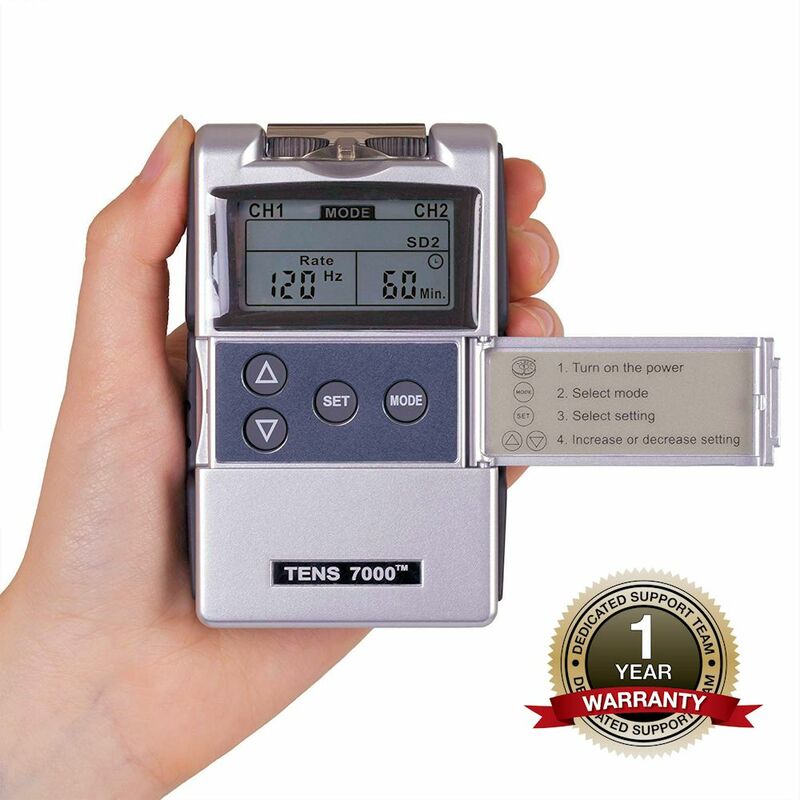 A tens unit is a safe and non-invasive, drug-free method of pain management. 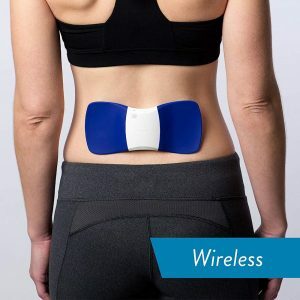 Tens relieves pain by sending small electrical impulses through electrodes placed on the skin to underlying nerve fibers. 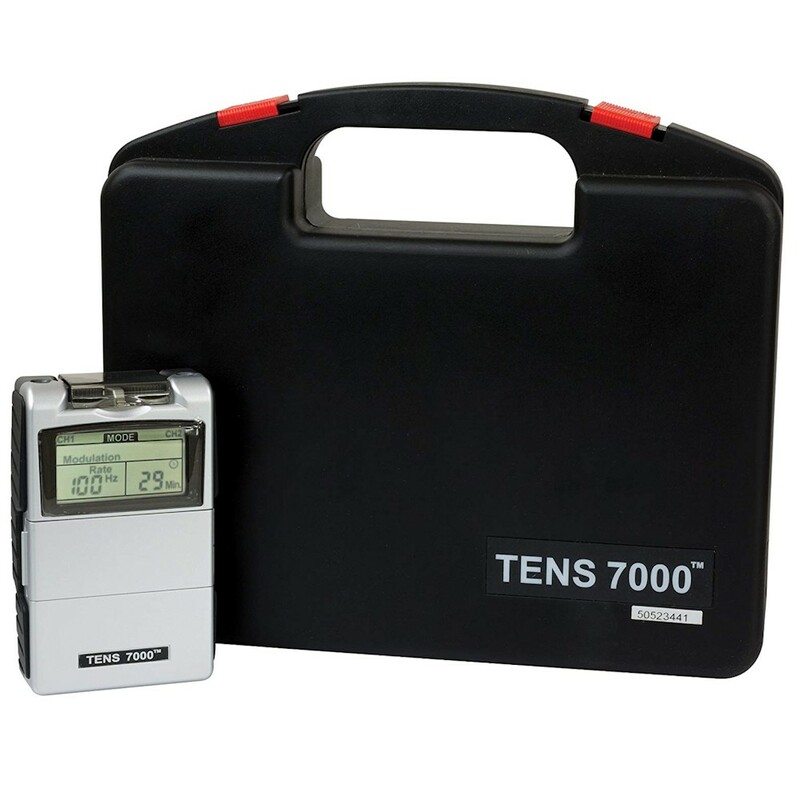 TENS is believed to work by two different mechanisms. First, electrical stimulation of the nerve fibers can block a pain signal from being carried to the brain. If the signal is blocked, pain is not perceived. Secondly, the body has its own mechanism for suppressing pain. It does this by releasing natural chemicals called endorphins in the brain which act as analgesics. TENS may activate this mechanism. 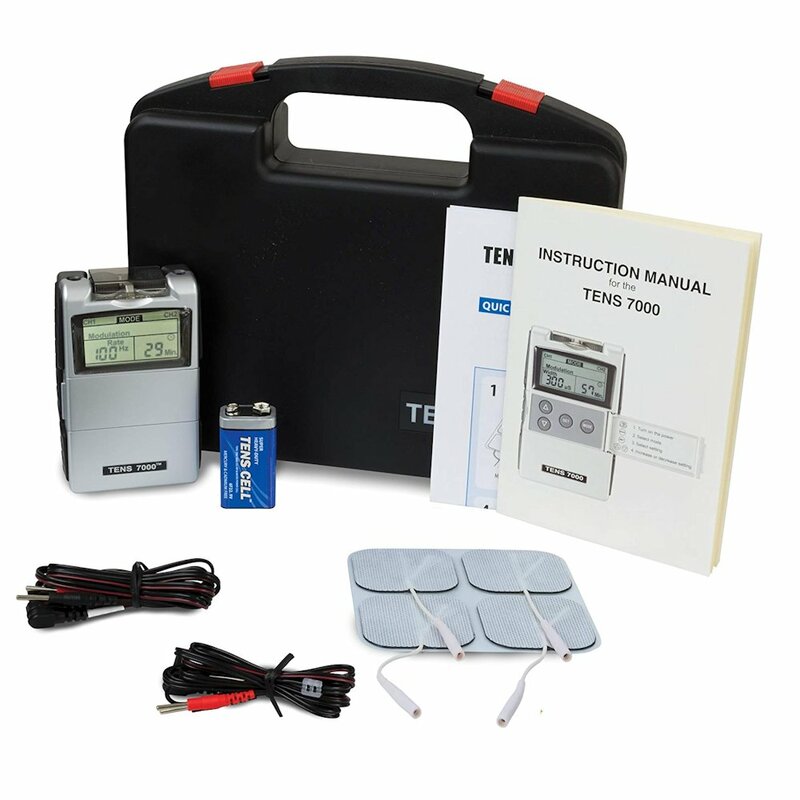 By effectively managing pain without drugs, TENS allows many people with chronic pain conditions to resume daily activity. A Transcutaneous Electrical Nerve Stimulation (TENS) is a device used to treat and eliminate pain using electric pulses. TENS units transmit small square electrical pulses to electrodes, which then transmit this electrical pulse to the underlying nerves. 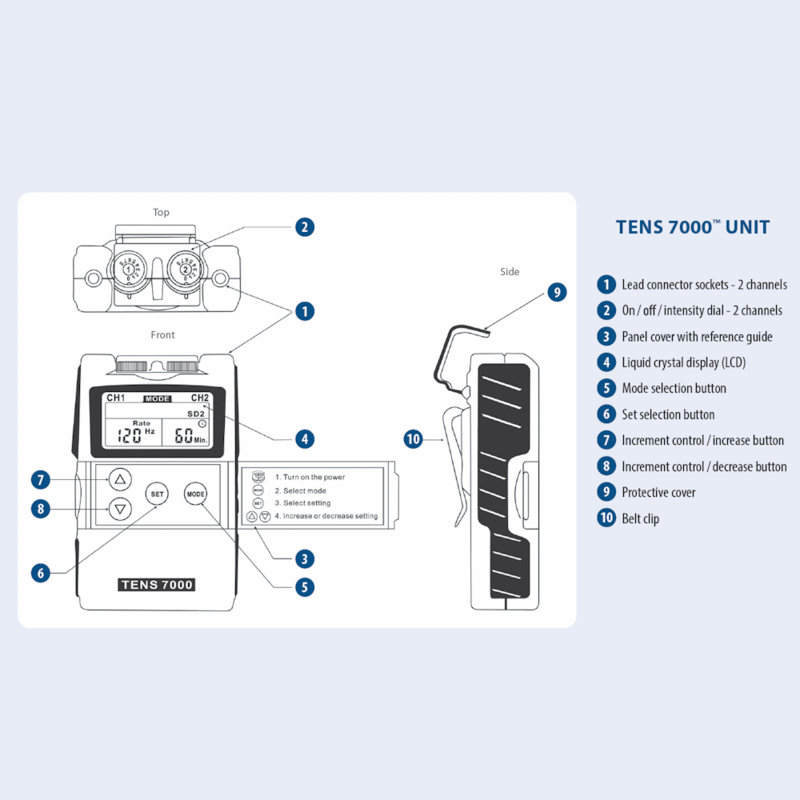 The primary components of a TENS unit are electrodes, an advanced computer chip and an electrical battery source. 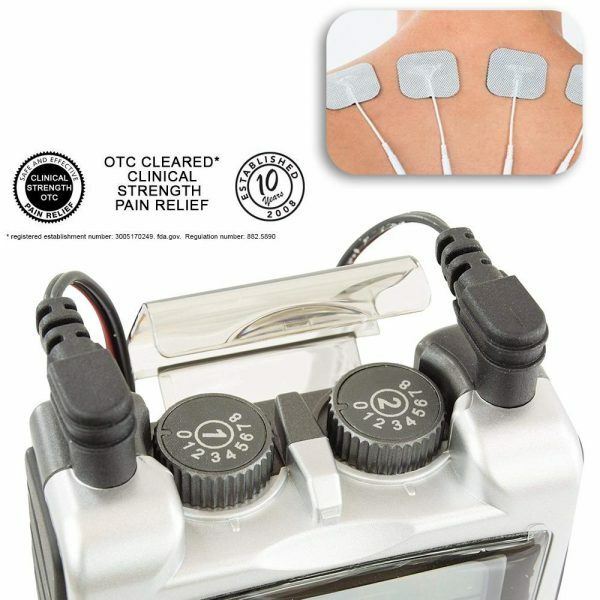 Electrodes can be placed along a dermatomal distribution or along peripheral nerves. 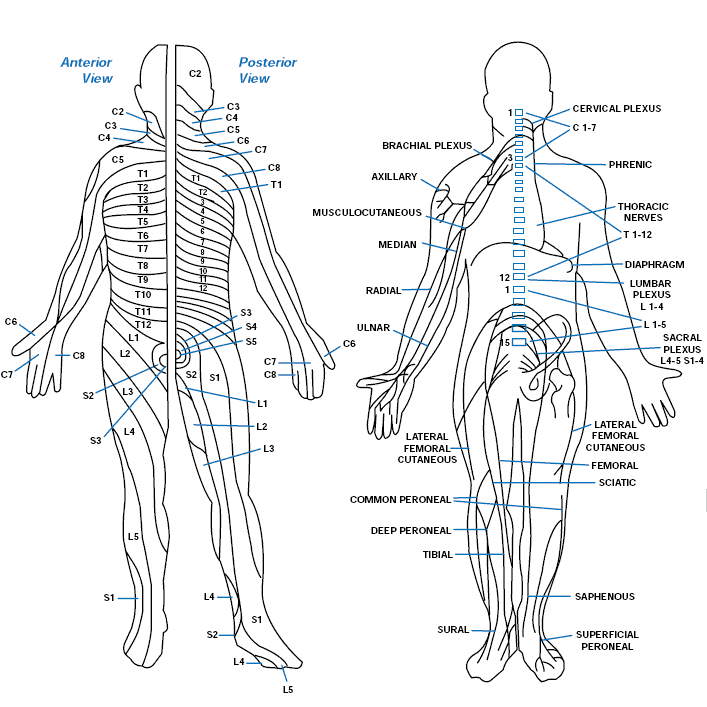 There is a chart above which shows both dermatomes and peripheral nerves as a reference for tens electrode placement. This reference is for health care professionals, however, if your health care provider has prescribed a specific location, this may serve as a reference also. Below are some suggestions for placement of tens electrodes for neck pain. Setting the unit for a constant level can be used to provide pain relief. As you become used to the setting, you can slowly increase the levels. Initially there should be no muscle contraction. For conditions like degenerative arthritis, I often find it helpful to modulate or slowly ramp to the point of muscle contraction which can provide a pumping action to help remove inflammation. A 2010 study in Ortopedia, Traumatologia, Rehabilitacja indicated that TENS therapy for an hour per day contributed to pain relief and improvement of function and mobility of the spine in degenerative disc disease. 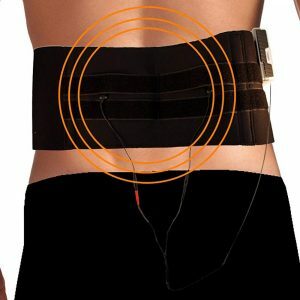 They used a support to hold the electrodes against the lower back and is similar to our Back Belt for Degenerative Disc Disease set up. 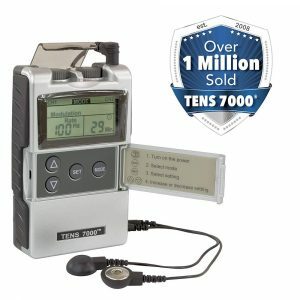 I often would recommend TENS for the neck and a non-electric moist heat neck wrap over the electrodes. 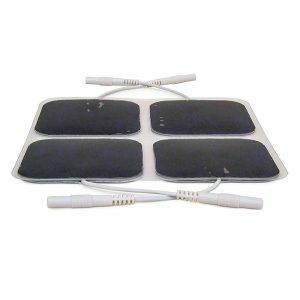 This not only helps to hold the electrodes in place, but also gives heat therapy in combination with the TENS treatment. 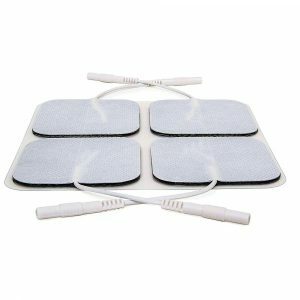 It has been common in clinics providing electrotherapy to use hot packs over the electrodes during treatment.